The housing market is a competitive one right now. The National Association of Realtors reported that there were 1.52 million existing homes for sale at the end of January 2018. That might sound like a lot, but that figure is 9.5 percent lower than it stood a year ago, when 1.68 million homes were for sale. What does that mean for you? It means that if you're planning on buying a home this year, you need to be financially fit and ready to act fast. 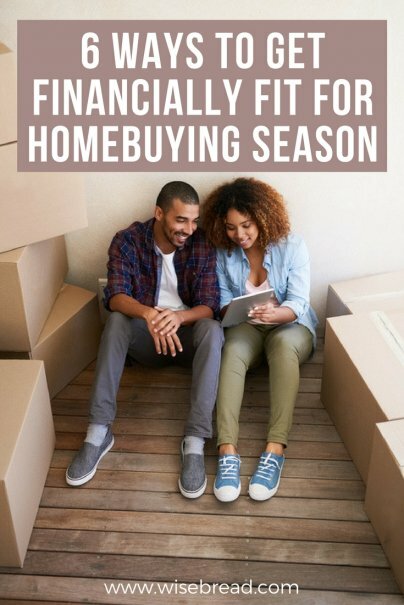 Here are the steps you can take to get ready for homebuying season. When you apply for a mortgage to finance the purchase of a home, your lender will check your credit reports. You have three of them, one each maintained by Experian, Equifax, and TransUnion. These reports list your loans and credit card accounts. It also lists any financial missteps you might have taken, such as missed payments, late payments, bankruptcy declarations, and foreclosures. Your credit score is a key number when you're ready to buy a home. Your lenders will study your credit score to determine how likely you are to pay your mortgage on time each month. Most lenders consider credit scores of 740 or higher to be strong ones, while scores under 640 make them nervous. If your score is too low, you probably won't qualify for a loan. If you do, you'll be charged higher interest rates. It's important to know your credit score before you apply for a mortgage. You can pay to receive your score from any of the three credit bureaus, which will cost you between $10 and $15. Your credit card provider or bank might provide you with a credit score for free, but be careful: This free score might not be an official FICO score, and might not be the same one that lenders see when you apply for a loan. The best way to build a strong credit score is to pay all your bills on time every month. If you pay certain bills late — credit cards, mortgage, auto loan, student loan, and other forms of installment loans — your credit score could drop by 100 points or more. A bill is considered officially late and reported to the credit bureaus if you haven't paid it by 30 days or more past its due date. Another way to boost your credit score and gain approval for a mortgage loan is to pay off as much credit card debt as possible. You'll know you're ready to take on the homebuying process when your credit card balances take up no more than 30 percent of your available credit. Buying a home is expensive. You'll have to come up with a down payment, of course. But you'll also have to pay for closing costs on your mortgage loan, and don't forget the added expenses of paying for movers, new furniture, and any repairs that your new home might need. Build up your savings before you start searching for a home. This will also help you when it's time to apply for a mortgage. Lenders usually want to see that you have enough in your savings accounts to pay for two to three months' worth of mortgage payments. That way, you can still make your mortgage payments if you hit a financial crisis. Looking for homes is fun. Getting a mortgage loan is not. But before you start searching for new homes, make sure to get preapproved for a mortgage. To do this, you'll meet with a mortgage lender. This lender will run your credit. You'll also have to provide this lender with copies of your last two months of paycheck stubs, last two years of W2 forms, last two years of income tax returns, and last two months of bank account statements. Lenders will study these forms to determine how much of a monthly loan payment you can afford. Once it analyzes your financials, your lender will provide you with a preapproval letter stating how much of a loan it is willing to give you. You won't have to waste your time searching for homes that are outside this limit. You'll also be a more attractive buyer. Sellers prefer working with buyers who already have qualified for mortgages. Deals with such buyers are less likely to fall apart because of mortgage issues.